The Massachusetts Emergency Management Agency said Friday that the pipes froze in 19 trailers at five sites in Lawrence, Andover and North Andover. 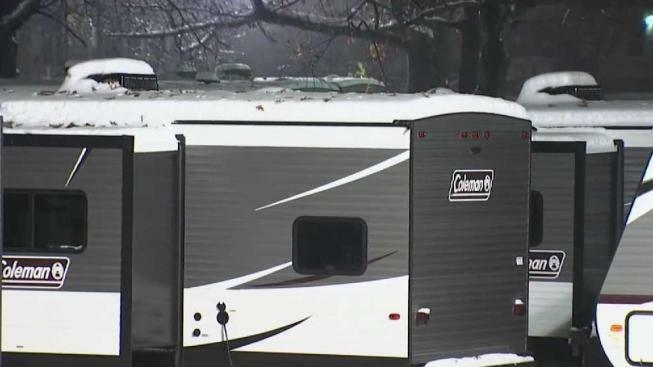 The cold temperatures that moved into the Merrimack Valley Thursday night froze water tanks in nearly two dozen travel trailers, forcing at least one family to pack up and go home to a house without heat and hot water. Officials said the frozen tanks stopped dirty water from draining and prevented clean water from coming out of the tap. As the recovery continues in Merrimack Valley, residents are dealing with a new headache. 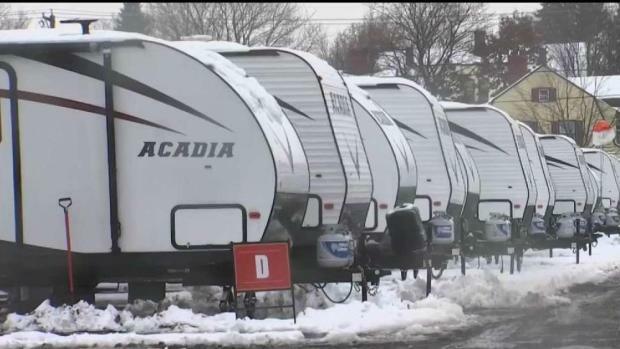 North Andover town manager Andrew Maylor said Friday that he’s asked MEMA to shut down the trailer camps by Dec. 2. He said he’s asked that displaced families be moved to either hotels or apartments. Lawrence Mayor Dan Rivera’s office said Friday that there are plans to either scale down or dismantle the trailer camps. MEMA said it has installed new equipment to prevent pipes in the trailers from freezing in the future.